Shoppers’ time, peer recommendations and attention are priceless commodities that retailers are vying for year-round and even more so during the holiday season. More than 85% percent of respondents to JLL’s holiday sentiment survey expect foot traffic this holiday season to increase or remain the same as last year, which saw 45 million holiday shoppers. This year, retailers will need to create a customer experience that the internet can’t match, which does not include waiting in long line — and retail giant, Walmart, is doing just that. Walmart is preparing for the influx of shoppers this year by making a Checkout Promise, where all registers will be open during peak shopping hours at their Supercenters. “Customers can expect to find self-checkouts open and a cashier in every lane,” says Duncan MacNaughton, EVP, Chief Merchandising & Marketing Officer of Walmart U.S. Beyond opening checkout lanes to expedite point-of sale purchases, more than a fifth of respondents indicated they will be equipping staff with tech tools like smartphones and tablets that can accept electronic payments right from the store floor. For additional insights on this year’s holiday shopping season, download new data from JLL’s 2014 Holiday Sentiment Report, which includes feedback from 800 largely national or global retailers in JLL-managed shopping centers across the United States. 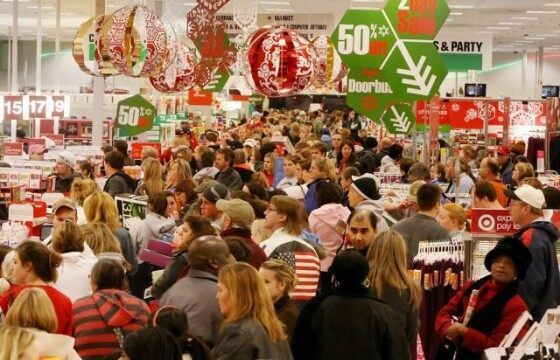 Categories: Americas Retail, Holiday Shopping and tagged Black Friday, holiday, JLL, lines, retail, Shopping.